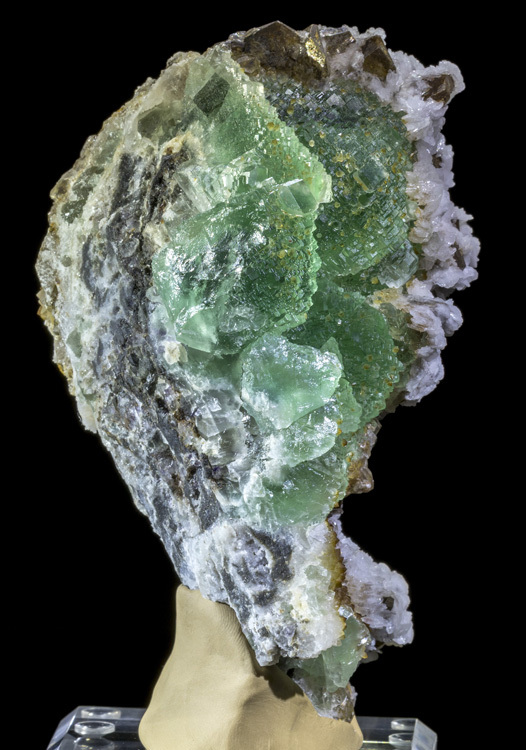 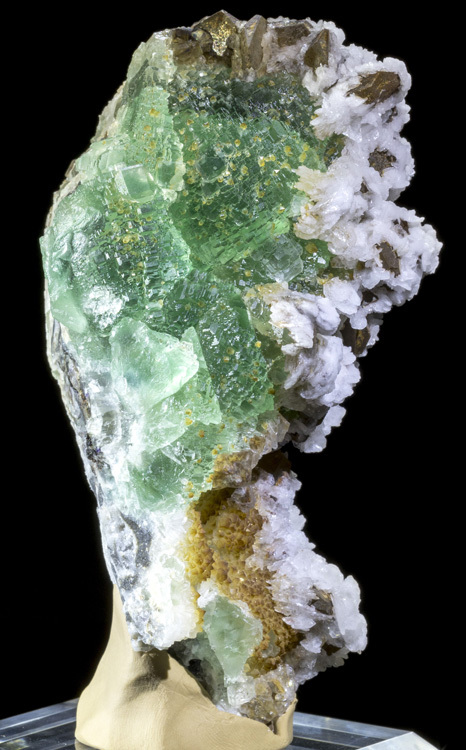 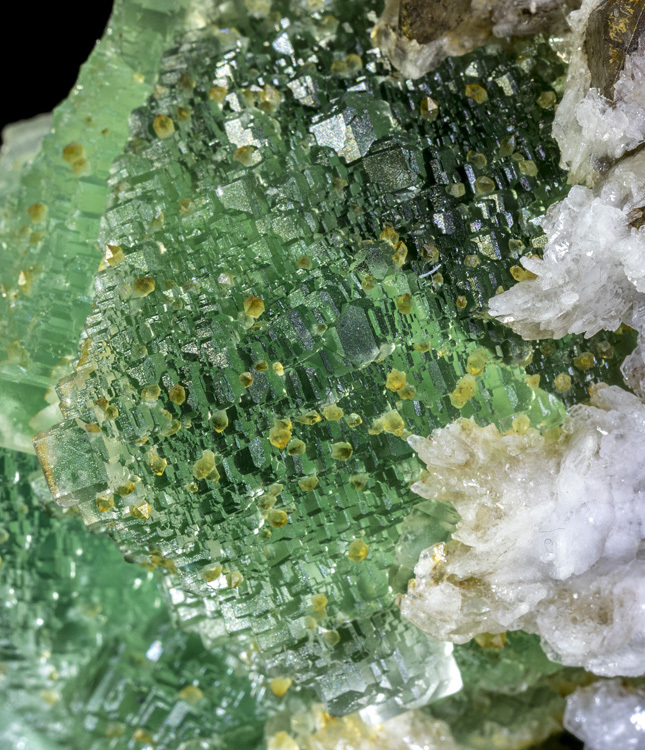 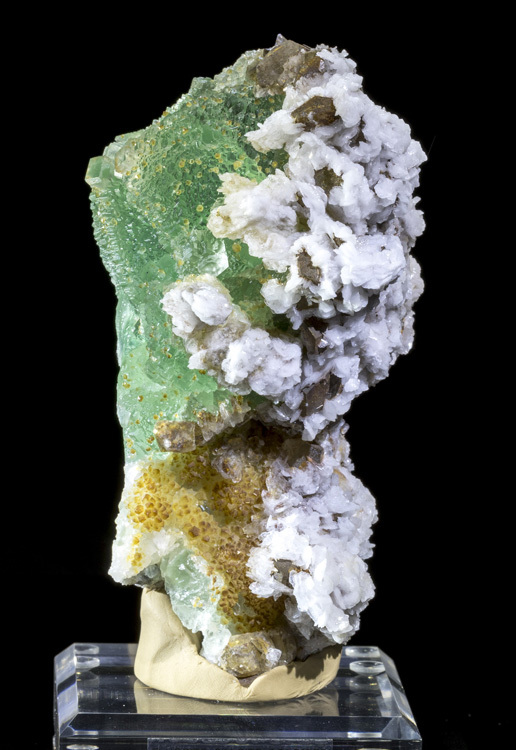 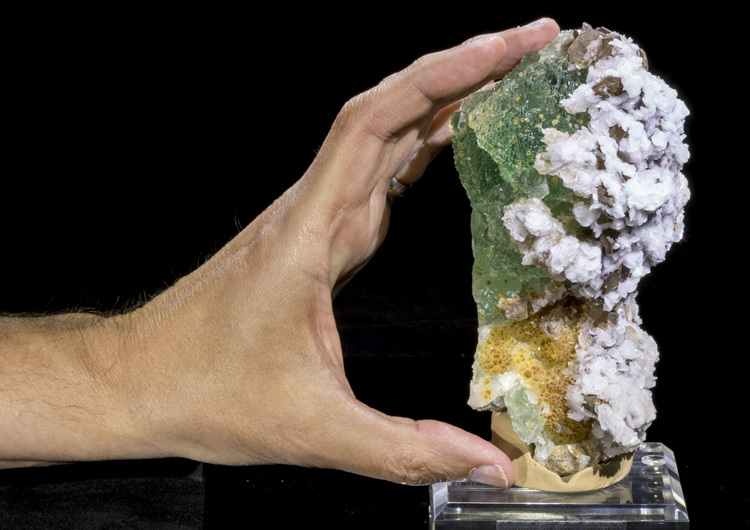 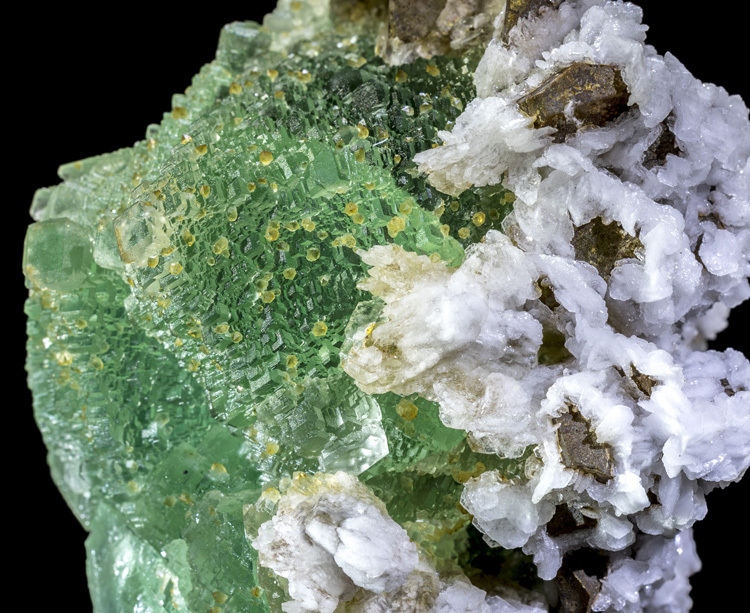 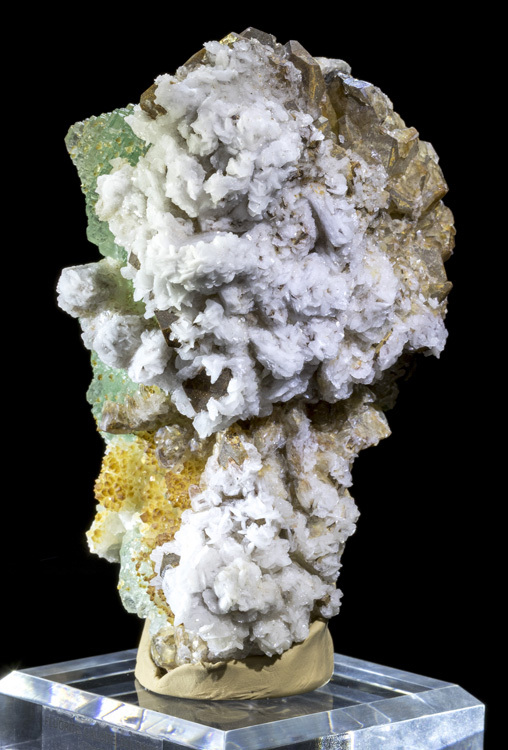 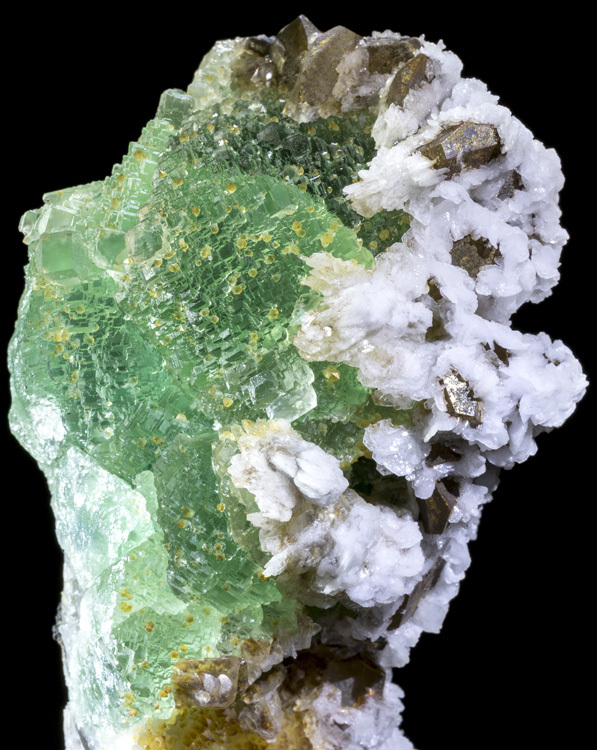 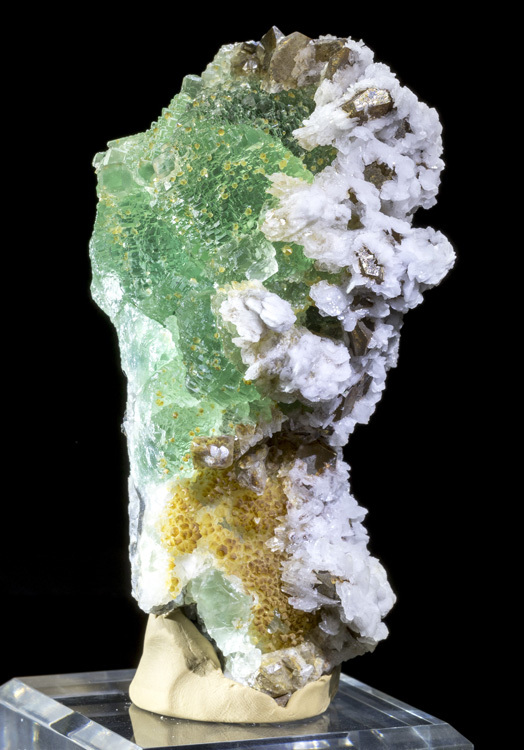 A very dramatic combination specimen with two primary green fluorite crystals that look like Mayan Temples. 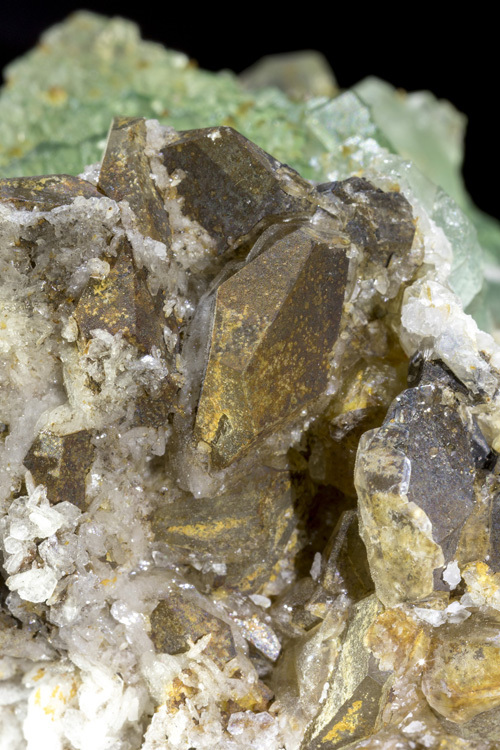 The white mineral is the dolomite, and the brown is the calcite which has a coating of iron staining on it. 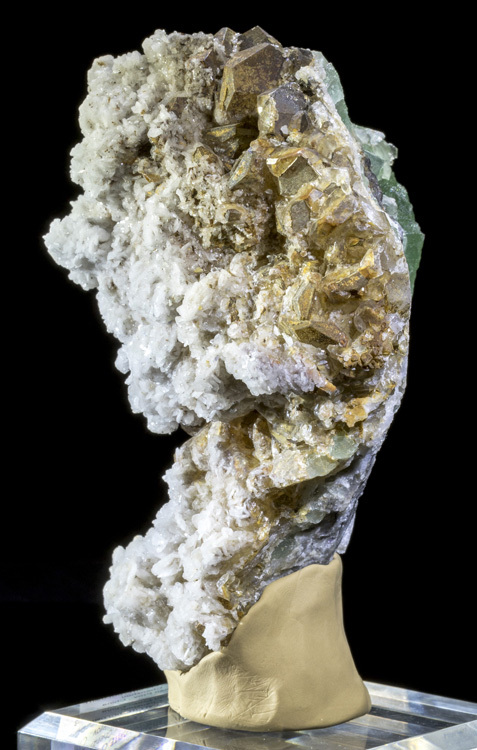 On the fluorite you can see tiny yellow calcite crystals. 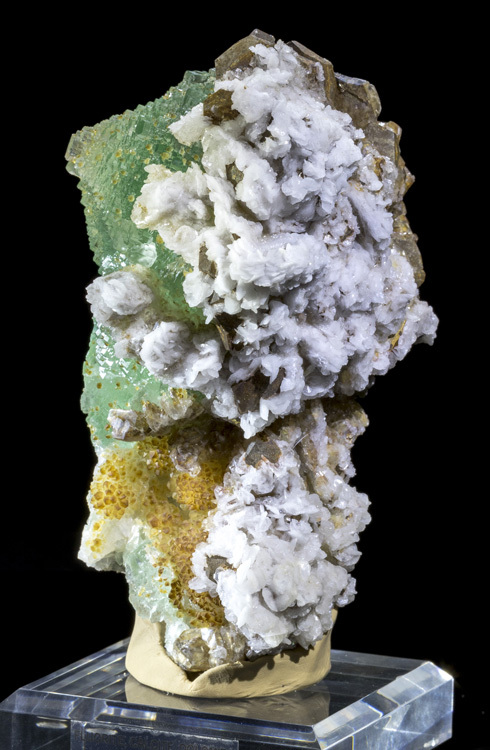 This specimen comes with a labeled acrylic display base.